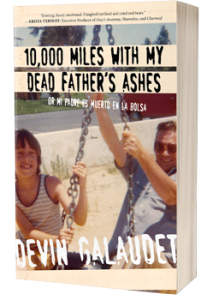 This giveaway concludes March 31, 2019. Winners must have a valid U.S. address for shipping purposes. Cast adrift in 1870s San Francisco after the death of her mother, a girl named Olive disguises herself as a boy and works as a lighthouse keeper’s assistant on the Farallon Islands to escape the dangers of a world unkind to young women. In 1941, nomad Victor scours the Sierras searching for refuge from a home to which he never belonged. And in the present day, precocious fifteen year-old Lily struggles, despite her willfulness, to find a place for herself amongst the small town attitudes of Burning Hills, Oregon. Living alone with her hardscrabble mother Alice compounds the problem–though their unique relationship to the natural world ties them together, Alice keeps an awful secret from her daughter, one that threatens to ignite the tension growing between them. 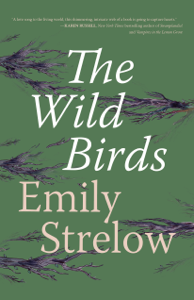 Emily Strelow’s mesmerizing debut stitches together a sprawling saga of the feral Northwest across farmlands and deserts and generations: an American mosaic alive with birdsong and gunsmoke, held together by a silver box of eggshells–a long-ago gift from a mother to her daughter. Written with grace, grit, and an acute knowledge of how the past insists upon itself, The Wild Birds is a radiant and human story about the shelters we find and make along our crooked paths home. Emily Strelow was born and raised in Oregon’s Willamette Valley but has lived all over the West and now, the Midwest. For the last decade, she combined teaching writing with doing seasonal avian field biology with her husband. While doing field jobs she camped and wrote in remote areas in the desert, mountains and by the ocean. She is a mother to two boys, a naturalist, and writer. The Wild Birds is her first novel. The Wild Birds ranges over the Northwest and across decades, circling a diverse cast on the blind hunt for happiness. A love song to the living world, this shimmering, intricate web of a book is going to capture hearts.